1. All tools, supplies and equipment required for the installation, will be provided by BM Glass Coatings & Graphics Ltd.
2. These prices DO NOT include for any access equipment (unless specifically noted). 3. 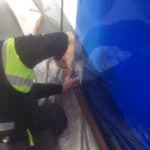 When BM Glass Coatings & Graphics Ltd. survey glazing systems, we employ a checklist to reduce the risk of glass breakage. 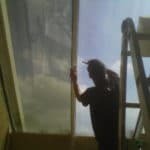 The checklist has been especially developed by the window film industry over the years, to reduce risks of thermal breakage due to the application of window film. 4. When surveying glazing, it is not possible to inspect the glass edges because the glass is housed in a widow frame or gasket. 5. 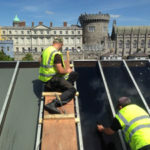 It is always assumed that any glazing inspected on our Site Survey has been fitted in accordance with the relevant British/Irish Standard, so all of the edges of the glass are undamaged. 6. The strength of glass is very dependent on glass/glazing quality, including edge condition (such as chips, schals, vents and cracks). These are outside our control, and we cannot comment on the condition or strength of your glazing. Therefore, no warranty against glass breakage and/or glazing damage, however caused, will be issued. 8. A solution of water with mild detergent is used during the installation of window film, vinyls and manifestations. Our installers use various techniques to cover the surrounding building fabric, to protect it from water damage, and will do their very best to ensure that no damage from the water occurs. 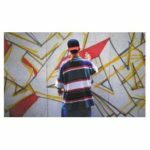 However, BM Glass Coatings & Graphics Ltd. will not take any responsibility for the cost of damage, however caused, to any frames/materials nearby. 9. It is the Client’s responsibility to remove/protect soft furnishing such as furniture, plants, carpets, curtains, blinds etc. before the works start. If you are unsure or in any doubt about what has to be moved, a site survey will be arranged by one of our Surveyors to explain what needs to be moved prior to works starting, to ensure that no damage occurs. 10. 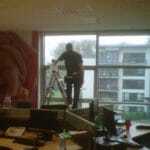 During installation, squeegee pressure is applied to the glass. There is a risk that some glazing may be cracked or broken due to this pressure or poor frame condition (especially old single glazing). 11. 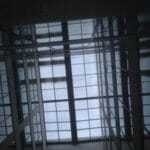 When existing window film is removed, there is also a risk of glass breakage. BM Glass Coatings & Graphics Ltd. will not be liable for any such loss or damage, but we will report any breakages to the client. 12. WORKING HOURS: All works to be carried out during normal working hours. Out of hours and weekend working will be charged at a negotioated rate. 13. WASTED TIME & CLEARED WORKSPACE: The installers must have their access all signed off and approved prior to arrival on sites, with the daily and weekly inspections as required completed by others, to ensure Safe working is provided at all times. 14. WINDOW FILM JOINS: Some glazing dimensions both horizontally and vertically exceed the maximum film width of (1828mm), therefore, it will require a join where necessary. The join will be butted. 15. EDGE GAPS: When film is applied, there will be an edge gap of between 1- 4mm depending upon the frame condition. This allows the water used in installation to be squeegeed out. This will be kept to a minimum, and the edge gap will be sealed using yacht varnish or silicon sealant (if external film is applied). 16. The Prices quoted are for the services quoted only, and do not include any over and above costs that are not detailed on the quotation. 17. 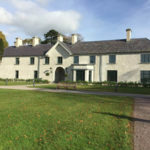 Whilst every effort will be made to ensure the Project is completed on site, within the allotted time-scale, BM Glass Coatings & Graphics Ltd. cannot be held responsible should the Project take longer than planned, as there are so many variables out of our control, such as weather, access equipment and Residents. 1. BM Glass Coatings & Graphics Ltd. are Ireland’s accredited installers and A.F.C. 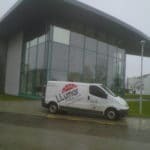 partners of Eastmans/LLumar, the worlds leading manufacturer of window films. 2. 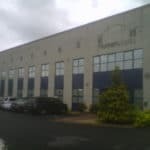 BM Glass Coatings & Graphics Ltd. have been operating in Ireland for over 25 years. 3. BM Glass Coatings & Graphics Ltd. Hold: IOSH Managing Safety for Construction Managers; Safe Pass; MEWP Cards; Aluminium tower erection tickets; Working at height/harness training; Occupational First Aid; Manual Handling Certs. 4. 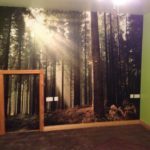 BM Glass Coatings & Graphics Ltd. are fully insured, with no height limits. 5. All work carried out by BM Glass Coatings & Graphics Ltd. is under warranty as per manufacturers recommendations, and the client is protected by the LLumar AFC warranty. 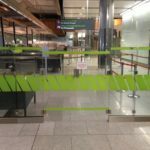 Should BM Glass Coatings & Graphics Ltd. cease to operate during the warranty period, LLumar/Eastman pick up the warranty for the remainder of the warranty term. Installers to many Celeb Bands and high profile clients.